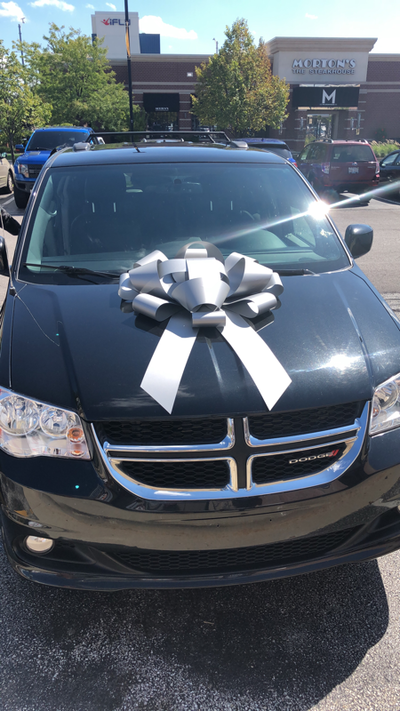 Blessings!!! 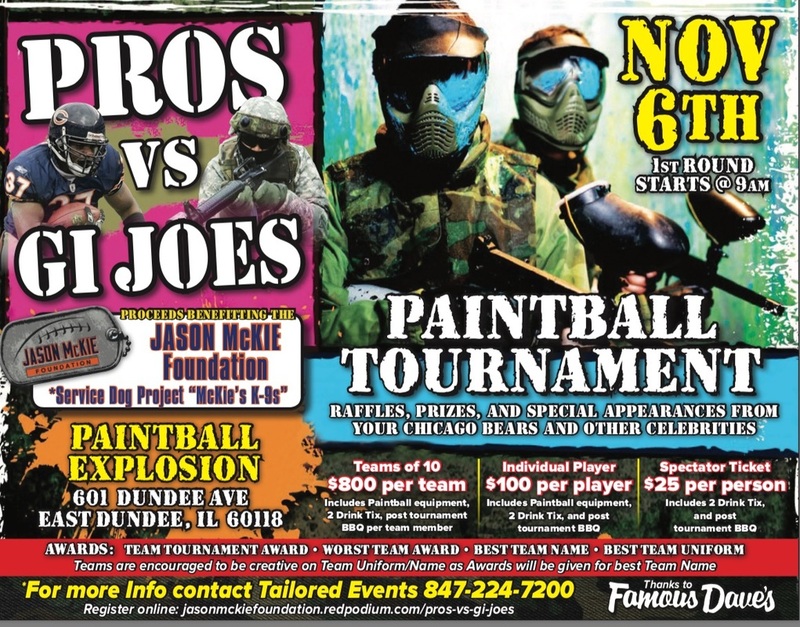 Jason McKie Foundation Gave Marine Vet. Alyssa Tatar a Brand New 2017 Mini Van for her and her 4 children today!!! 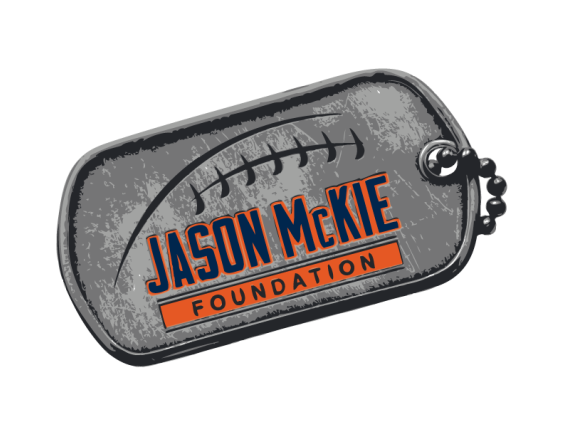 The Jason McKie Foundation sends care packages overseas to some of its Army friends deployed in Kuwait and Afghanistan. 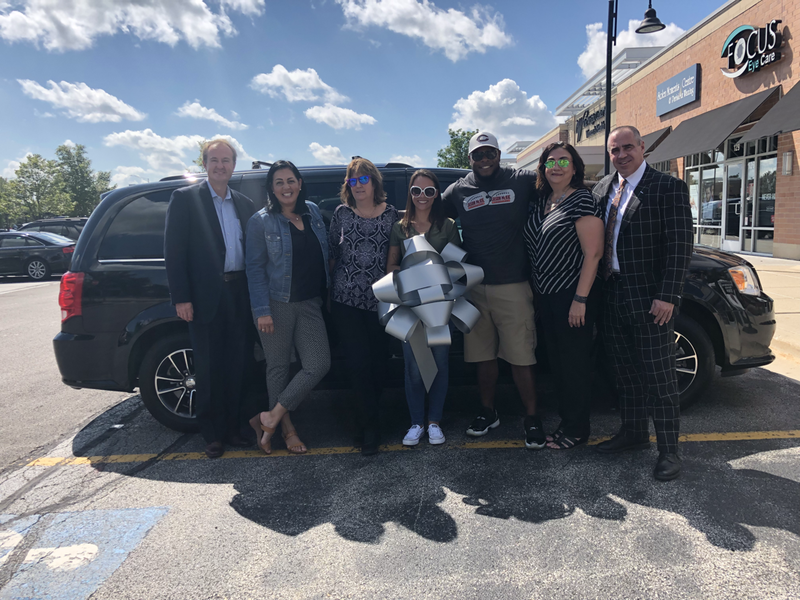 The Jason McKie Foundation was able to provide emergency assistance to Army Ranger Joseph Naylor and his family last month. Please watch the video to see Joseph's story. Thank You to all our donors, sponsors, and our board members for making this possible. Special Thank You to Former Army Ranger Joe Trainor Jr. for making this possible. 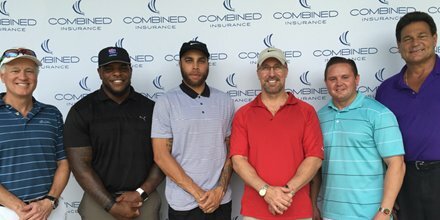 ​Thank You Combined Insurance for putting on an amazing Charity Golf outing, with proceeds benefitting the Jason McKie Foundation. "Support Our Troops"
Thank You Leter From Iraq War Vet Jeff Sadler. 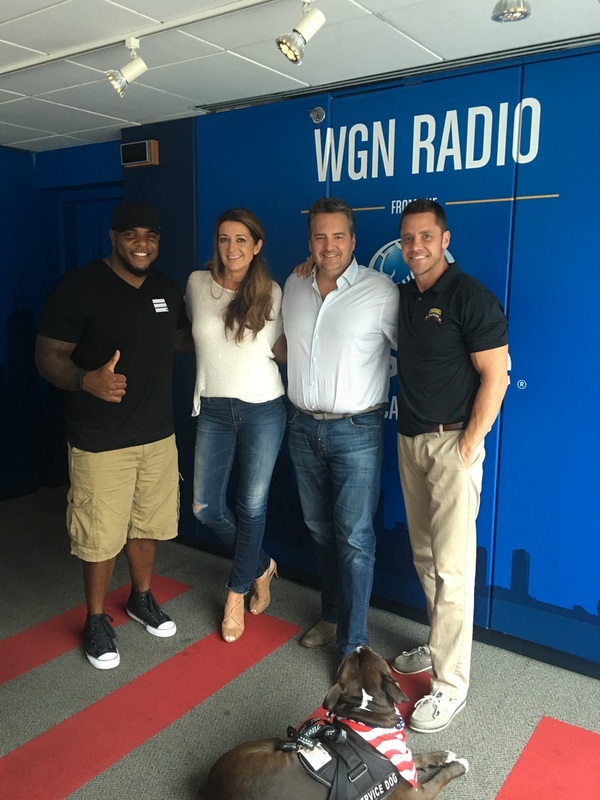 The Jason McKie Foundation sponsored Mr. Sadler's trip to the Jesse Brown VA Hospital in Chicago, to receive treatment for PTSD. Thank You to all our Donors, Sponsors, and Board Members for making this possible. Meet Dennis Thompson, a man who served for our freedom, and is overcoming PTSD. Meet his new bestfriend our service Dog "Athena" provided to him by Jason McKie Foundation and Sgt. John M. Penich Memorial. We will be providing updates on Dennis and Athena's journey monthly!! Dennis and Athena have been working hard, as well as playing hard, and are well on their way to being a powerful PTSD service dog team! Although fetch and tug-a-war may seem like small things, they actually make a big impact in the long run. Play-time is a special bonding experience between dog and owner, and is especially important in helping build the relationship between service dog and handler! Thank You to all of our Supporters, Sponsors, and Donors for making this union possible. A special thanks to Southland Dog Training for the great training of Athena. This is former Chicago Bear Jason Mckie at Belmont Village Senior Living. 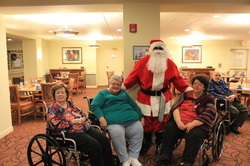 "Mckie Claus" made a special appearance in behalf of Operation Homefront. 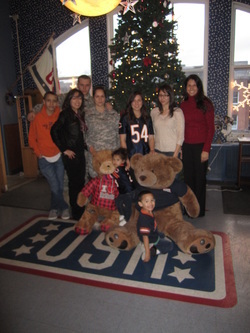 Belmont Village residents, families and staff collected over 250 toys for Illinois military families in need. See our photo gallery for more pictures of this event. 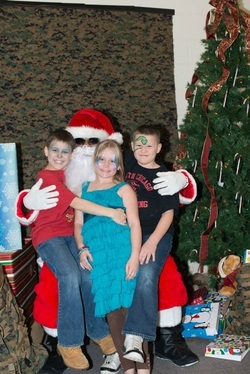 McKie claus made a special toy delivery to Military Families stationed at Great Lakes Naval Base. See our photo gallery for more photos of this event. Jason Mckie and Former Bears Adrian Peterson, Handed out Turkeys to Military Families sponsored by Jewel-Osco, Bears Organization, Operation Home Front Illinois, and Miller-Coors in Berwyn, Illinois. Checkout our Gallery for more photos of this event. on a shopping spree, to furnish his new home, after he lost everything due to a flood. Checkout our Gallery for photos of this event. 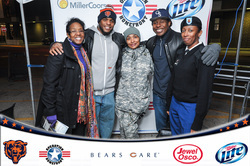 The Jason McKie Foundation sent its friends from the 2nd Battalion/24th Marines, to the Chicago Cubs Game. 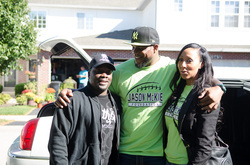 Jason McKie and some of the Jason McKie Foundation (J.M.F.) 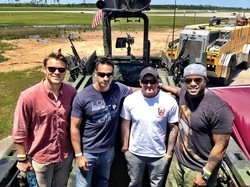 Sponsors, took an exclusive field trip to visit the 2nd Battalion 24th Marines. 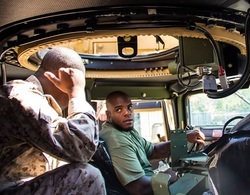 The "Marine for a day", experience, included a Combat P.T. test, firearm training, and a Hummer convoy ride through the streets of Chicago. Checkout our Photo Gallery for pictures of this exclusive event. 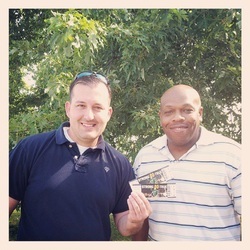 Jason McKie Foundation and Temple University sends, SFC Jon Williams and SFC Terry Thompson to the Notre Dame v.s. Temple game in South Bend, Indiana. 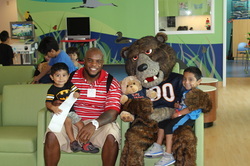 Jason Mckie, and his buddy "Staley Bear" visited the Lurie's Children's Hospital, to cheer up the children and provide "Bear Hugs". Checkout our photo Gallery to view pictures of this event. Jason McKie is a special guest at the "Navy Seals Family Appreciation Day"
at Stennis Space Center, MS. Checkout our photo gallery for more photos of this event. 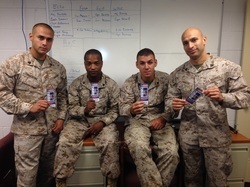 Jason McKie Foundation sponsors "Holiday Shopping Spree" Gift Cards for Military Families, during the Christmas Holiday.